So one of my new favourite places to shop is NECTAR CLOTHING as they have so many beautiful items. Today I thought I would do a quick post on my favourite accessories that I have seen on their website which I think are perfect for summer. Really loving light blues and golds at the moment and would love to get each and every one of these (if my bank balance would allow me). Tell me what you think? Have you bought anything from Nectar Clothing before? Hey lovely!!!! love your blog! Ahh I love the bag and pastel cruise necklace! ooh love these pics! the sunnies are so cute! 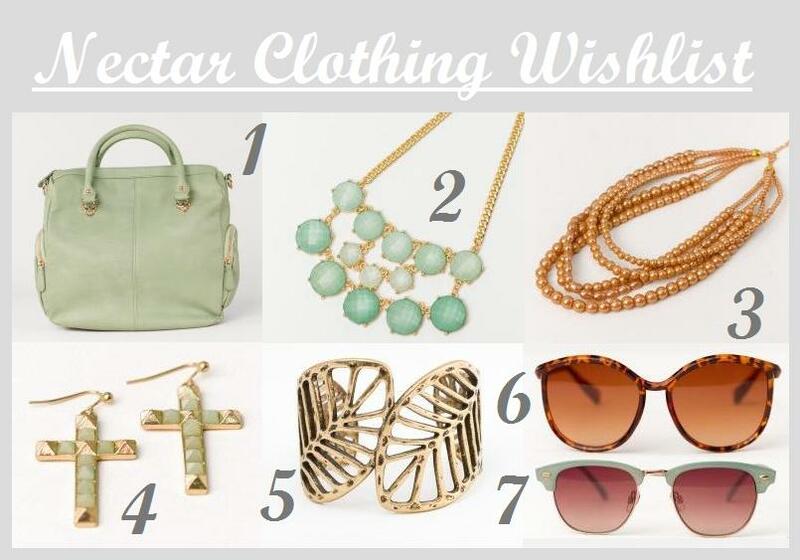 Love this wish- list, they're all perfect items!